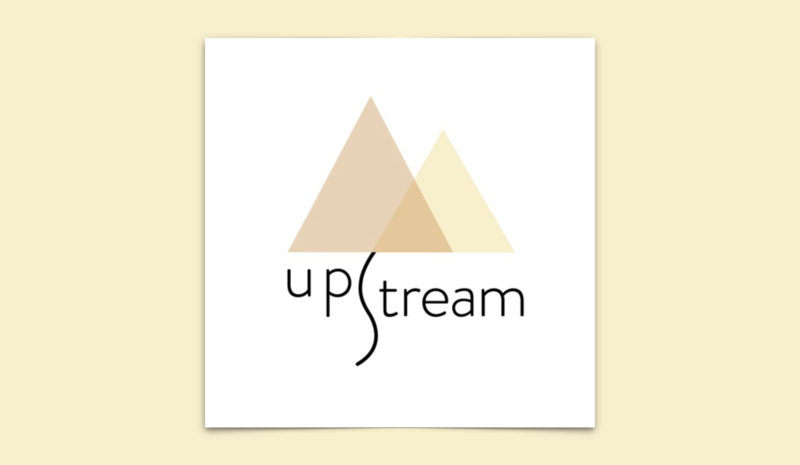 Korman’s dream is part of a larger story told by Upstream, a podcast that weaves personal experiences and stories together with expert analysis to provide a glimpse of what it means to live in a 21st century economy. Korman belongs to an emerging sector of workers who cobble together their monthly income from various “gigs,” usually consisting of working for some kind of app-based service like Uber or TaskRabbit, sometimes doing something that they love in between. In Korman’s case, his passion is photography. His goal is to do that permanently, but he has to work gigs on the side to pay rent. Each episode of Upstream explores a specific theme, and the episode featuring David Korman is all about these new forms of precarious, app-based work. The episode details the fierce political battle between Airbnb and the city of San Francisco, and includes the voices of researchers, politicians, and academics. But it is ultimately brought to life by heartfelt conversations with Korman around his kitchen table or driving around Oakland in the car he drives for Lyft. This combination of storytelling and economic analysis is where Upstream excels. Their episodes are powerful precisely because they are successful at breathing life into an otherwise cold and incomprehensible economic system. Their ability to blur the lines between the field of economics and the art of storytelling leaves you unsuspecting of the fact that you’re actually listening to a podcast categorized under “economics.” But that is exactly the point: Upstream’s motto is “unlearn everything you thought you knew about economics,” the goal being to reclaim the field from the policy wonks and statisticians who currently dominate it. Upstream is produced by two people: Host Della Z Duncan and engineer Robert Ramin Raymond. Launched in 2016, it currently offers ten documentaries plus dozens of stand-alone interviews that are part of its ongoing “Conversation Series.” The episodes vary widely in their themes, ranging from craft beer to Greece’s debt crisis. Raymond creates a lush landscape of audio, original music, that of international musicians, and other aural effects. Their most recent episode is a two-part series focused on the exciting and contentious idea of Universal Basic Income. Driving these two episodes is the simple question: What if you were paid just for being alive? i.e. You are given a check every month for the rest of your life, enough to cover all of your basic needs (you wouldn’t be driving around in a Ferrari or eating avocado toast every day, but you’d be receiving enough to live comfortably). There are no requirements. How would your life be changed? What would you do differently? It’s a crazy idea, right? Getting free money? Bonkers. Or is it? Upstream travels the country, from Palo Alto, California, where Stanford’s philosophy department offers a course on Universal Basic Income, to Alaska, which already has its own form of basic income. And then to Canada, for a story told through the perspective of Eric Richardson, a carpentry teacher whose family was part of one of the first basic income experiments when he was a child in the 70’s. But the best part of this series is how it peels back all of the layers. Most people are familiar with Universal Basic Income as a response to job automation: “If the robots are coming for ours jobs, we need a universal basic income to deal with mass unemployment,” the thinking in Silicon Valley goes. But the idea of Universal Basic Income is an incredibly rich topic, and Upstream doesn’t waste the chance to approach it from a number of fascinating angles, uncovering aspects of both our humanity and our society in the process. How would someone respond to receiving unconditional cash? What would happen to this kind of a society? And, fascinatingly, what do our assumptions about these questions mean about our values, our beliefs about ourselves and others? Michael, a young man from Monterrey Bay, sees things differently: “I feel like it’s a basic human right to have a roof over your head, honestly. And people shouldn’t have to worry about that month-to-month,” he explains, taking a break from his job canvassing for Greenpeace to answer that same question. As in the pilot episode with Korman, here, Upstream tells the story of our 21st century economy by weaving together conversations with everyday people and interviews with experts. The idea of Universal Basic Income is subjected to scholarly analyses while simultaneously made accessible and entertaining through stories and stirring sound design. So, forget about the Gross Domestic Product and the daily Dow Jones Index announcements — this is what the real economy looks (and sounds) like. Laurie Walmsley is a writer based in the United Kingdom.